29.68 - Rochester N2HJD 94.8 Monroe confirm??? N2OP - Jim, K2RTG-Dave, N2MGU-Jim, KB2DIO-Chuck, WB2YGN-John, KD2SL-Kevin, W2GTX-Doug and many others for their own lists, suggestions and review. Note - these are confirmed repeaters that are known to be active (as of the revision date) or temporarily off the air and are expected to return at a later date. The Milton J. Rubenstein Museum of Science and Technology (often referred to as the MOST) is a museum located in the Armory Square neighborhood of Downtown Syracuse, New York. The museum includes multiple exhibits, a gift shop and a domed IMAX movie theatre. It is located in the former Syracuse Armory. The Amateur Station consists of a Kenwood TS-870S as the main HF rig, a all mode 2M/70cm, another 2 meter mobile, and an Ten-Tec SDR receiver. 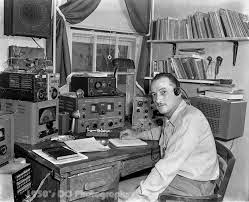 We have several computers, a mock up Telegraph system, and many handouts and old rigs for viewing. Antennas consist of a 20/40 meter trap vertical, a 40 (tunes most 40-10) meter Inverted V, and an 80 meter dipole. 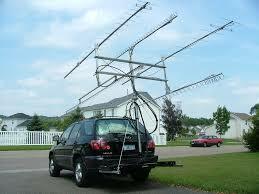 The 2 meter mobile has a 3 element yagi, and the all mode is on a egg beater. the SDR is on a discone. We have great plans for the future of the station, but we need volunteers to make it happen. Interested persons MUST be trained on the proper use of the equipment. They can not just come in and operate without being certified as a Volunteer of the MoST. There will be an Advanced SKYWARN Class for Amateur Radio Operators in North Syracuse. This course is for those individuals who have previously taken the Basic SKYWARN class. 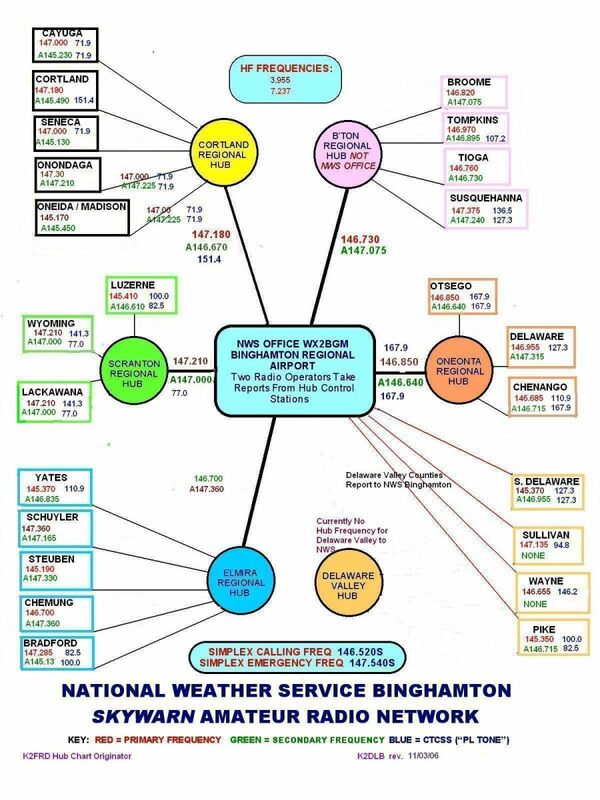 Binghamton National Weather Bureau meteorologist Dave Morford will provide the training Saturday, May 31, noon to 2:30 p.m. at the North Syracuse Community Center, 700 South Bay Road, North Syracuse, NY. You must pre-register for this class. For those of you who have d-star or are thinking of trying d-star. I have added a D-star hot spot access point at my repeater site (near Waterloo, NY). It's on 446.125 simplex and runs about 20 watts. It's normally connected to reflector 20A which is located in NJ and is the northeast gateway. Feel free to try it and if you want to connect to a different reflector you may disconnect from 20A and connect to any one you want. For those who are not up on d-star or do not have a understanding of it here's a little back ground. You need a digital d-star radio to use it. If you listen to the hotspot on 446.125 all you will hear is data bursts with an analog radio. Digital signals go farther than analog, which means less power goes farther. Short of a digital radio you can get on d-star with a dv dongle connected to your computer. If you have a laptop you would be able to use it any where you can get an internet connection. This works by connecting through the internet which makes it so you don't need to be near a d-star repeater or hot spot. D-star users seem to be growing as well as hots pots and repeaters.